A few years ago, I was a landlord looking for someone to look after my property. As I started to investigate letting agents and read the contracts they were giving me, I began to see a familiar theme: they found a way to charge for everything! In addition to the monthly management fees, agents were also adding an additional fee to find tenants – often called a ‘marketing fee’ or a ‘tenant find’ fee. This is highly common practice across the industry. But how, I wondered, did the management of my property NOT include finding a tenant to live in it? These are some of the reasons that drove me to start Fidra Lettings. I was fed up of not finding good value in the lettings industry and, out of my own experience, decided to offer landlords a legitimately high quality property management service with no hidden or add on fees. So with that said, what is it fair to charge for in the lettings industry? Full management of a property is designed to allow landlords to remove themselves from the day to day running of their property. If something breaks, we – your agents – take the call and arrange the fix (with your approval). When rent needs collected, we ensure it is paid on time and then pay it over to you, minus our agreed fee. If the tenants of the property hand in their notice, we ensure the property is re-let for as much as possible to tenants that are properly checked and, as far as we can reasonably predict, will care for your property and pay their rent on time. We make sure the safety regulations are upheld and that you have the information you need to get the best from your property. That would be a full picture of what it takes to manage a property – that is why we charge a monthly management fee. WHAT IS REASONABLE TO CHARGE FOR? With that said of full management, there are often fees that agents charge that nobody questions because they are “standard practice”. But just because everyone charges them, does that mean they are fair? It is standard practice for letting agents to charge landlords an additional margin, normally around 10 percent, on top of bills from tradesmen. Is that fair? Well, probably not. If you are paying a management then, in my mind, that would cover arranging maintenance work. For that reason we do not charge anything additional on tradesmen invoices. Part of responsibly letting out a property is providing an inventory, signed at move in. In some cases agents will charge landlords an additional fee in order to have them create an inventory. Again, this would seem to be a reasonable part of managing the property overall and so should this be an additional fee? Perhaps not – particularly for a basic inventory. With options now available for more advanced inventories, it would be reasonable to charge additionally for that as it is an enhanced service over and above what is normally provided. A void management fee is charged by some letting agents when a property is empty – in essence, they check up on the property and continue to treat it as part of the portfolio of properties under their care. There’s only one issue with that – property management is, in essence, managing a business asset. The whole idea is that, through the property manager’s expertise in cooperation with the landlord, the property will make as much money as possible for the landlord. So how can you charge the landlord anything if the property is not bringing anything in? If anything a void management fee is an indicator that the property management company is more concerned with getting paid to manage the property than actually doing what they have to get the strongest return. If you are a landlord, you need to be sure you are getting a fair deal. You want someone that cares about you and really cares about your investment. 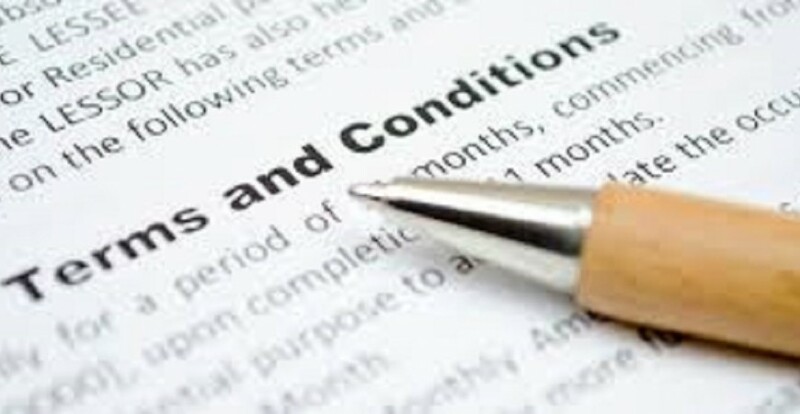 Look for the additional fees in letting agents’ contracts: What is the fee for? Would you expect it to be part of managing the property? Among our clients are many who have found that our fair and transparent approach to lettings is allowing them to better predict their costs and cashflow. It’s allowing them to rest easy knowing they have an agent they can trust and, if you are a landlord, we would love to do the same for you.